How VoIP works varies based on what you’re using to complete the call: either through a combination of the VoIP and traditional phone system or completely over the Internet. Computer-to-computer calling does not need the traditional phone system. 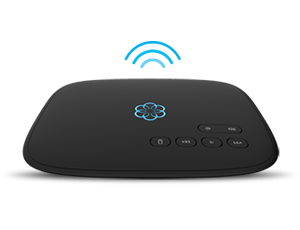 A good example of a computer-to-computer call is Skype. In this case, the software digitizes your voice and the packets are sent to the Skype server, which routes the call to the person you’re calling. VoIP to traditional phone number calling is slightly different. Your call is digitized before it’s sent over the Internet, but when it reaches your VoIP provider’s servers, at the appropriate point it’s converted back to a traditional phone signal. VoIP-to-VoIP calls vary. Calls placed to another VoIP caller on the same provider as you will likely work much like a computer-to-computer call does; however, if you call a VoIP user on a different provider, the call may still have to travel over the traditional phone network to complete. Unless you’re a tech genius, the concepts behind “VoIP” — Voice over Internet Protocol — can leave you a little bewildered. We’ve created this plain-English explainer about how your call makes it from your telephone to the Internet and ultimately to the phone of the person you’re calling to help you understand how the process works. You’re not going to notice much difference between using a traditional phone service and VoIP. You’ll hear a dial tone when you pick up the handset, and you’ll dial numbers just the same as you do now. The difference with VoIP is what happens behind the scenes in order to complete that call. Phone service works using electric currents. You may have heard about the days when phone company switchboard operators routed the call for you by patching a cable from you to the person you were calling in order to complete a circuit. Those days are gone, and the switchboard operator has been replaced by a computer that patches your call based on the number you dial. While that’s how your traditional phone service works, the process of a VoIP call is different. When you pick up your phone using VoIP, it is still creating an electric current, however your voice signal travels first to some type of device — either an external device called an analog telephone adapter (ATA) or a digitizing device inside the phone. Here your voice signal is converted into digital packets of information that can be sent out over the Internet. Now that your voice signal is in digital form, it can travel over an Internet connection just like our emails and other data do. These packets travel to your VoIP provider’s servers, where they then may take a variety of paths in order to complete the call. If you’re calling another VoIP customer, especially those using the same service as you, then there’s a good chance your call won’t need to be routed through the traditional telephone system, so it may continue to travel to its destination (the person you’re calling) as a stream of data. But if you’re calling somebody using a traditional telephone, that stream of data isn’t going to be able to be sent through the phone system. Your VoIP provider will take the data packets and convert them back into an electrical current, which can then be sent back through the traditional telephone system. Instead of there being an open circuit between you and the person you’re calling, like there normally is, your VoIP provider is acting almost like a two-sided plug that connects two extension cords together. While this all seems complex, everything here is happening in a fraction of a second — so quick that it is imperceptible to you. But the speed at which it occurs is vital to making VoIP just as good — if not better in many ways — than traditional phone service. 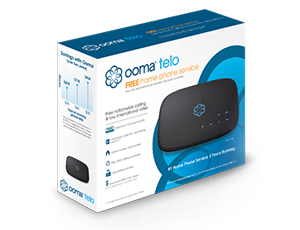 To learn more about Ooma and the reasons why VoIP through Ooma is the best deal in the industry and a better deal than your landline phone, visit our website at www.ooma.com.